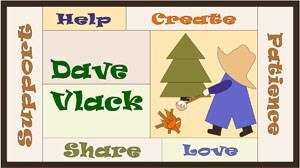 Barb Vlack’s famous marshmallows are featured in her block – now with Dave instead of Santa. Dave’s help and support have given us a lot of fun. Thank you. While the greatest loss is yours Barb, we will all miss him.